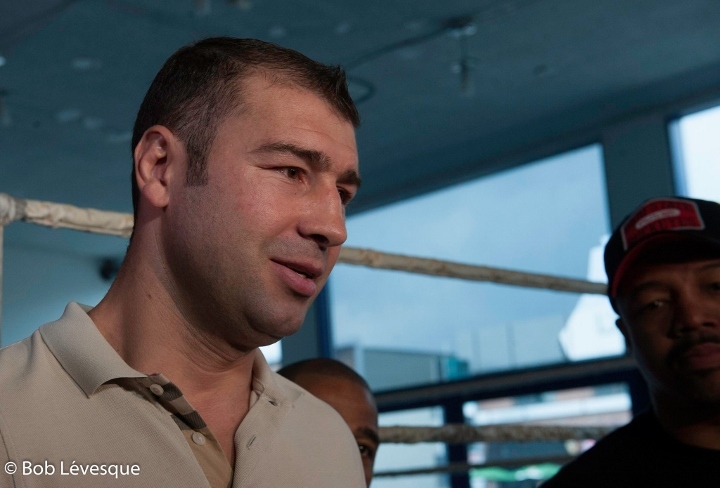 Lucian Bute is still in the process of making a decision on whether or not he intends to fight again. The former IBF super middleweight champion is in good shape, but he hasn't donned the gloves since the birth of his daughter Ema, seven and a half months ago. At one time, Bute (32-5, 25 KOs) was viewed as one of the best boxers in the world. That was a long time ago. Bute has lost his last three fights and has gone 2-5 in his last seven ring appearances. His last win came in August 2015. Bute realizes that his career is coming to a close, but he's still getting that itch. "I'm 37 years old, I know that I'm near the end. In the coming weeks, I'll make a decision. For now, I'm spending time with my wife and my daughter. The priorities have changed, and I'll think twice when I make my decision. [My daughter] Ema is the priority," Bute told La Presse. Bute admits that there is no need to fight again. He is independently wealthy, and he believes that he already left his mark in the ring. "I've been a champion for five years, I have defended my belt nine times. I have nothing to prove. I also love the love of Quebecers, they remember the good times we had together," Bute said. Bute was never the same fighter after traveling to Nottingham in 2012 and getting demolished by Carl Froch. After getting a quick later that year, he didn't fight again until January 2014 when he lost a decision to Jean Pascal. He then got another quick win in 2015 - and went on to lose his next three - to James DeGale, Badou Jack and Eleider Alvarez. The fight with Jack was initially scored a controversial draw, but later changed to a disqualification loss after the Bute tested positive for a banned substance. His last bout, against Alvarez, took place in February and saw Bute get knocked out for only the second time. Feasted on has-beens, lost against the best he fought. Froch merely defined his real level: overhyped fighter with a good left hook. Good riddance. All he does is shift and wiggle his upper body and arms wasting energy without throwing punches anymore and that is frustrating to watch. He needs to call it quits. It was horrible watching a former champ who'd forgot how to throw his hands. That night in Nottingham really left it's mental scar. Probably best to enjoy the money, his senses and his family now. Retire. He seems like he's just been trading brain cells for dollars as of late. There's no future in that.